OK that's it I'm not wasting anymore time waiting for Spring, Summer will soon be here and wouldn't have had a spring. So you could say I'm splashing out and getting the self-tan out ready to feel a little tanned and partly because I'm fed up of the pale look now. I'm not huge self-tanner, the thought of self-tanning to me sounds like a marathon. You have to do some preparation and it's like some ancient skill which to be honest is pot luck each time you apply it. I am so cautious of the prone dry areas and yet I still seem to get the tell tale signs of self-tanning failure. However I think I've found the perfect self-tan for me, perfect for pale skins. 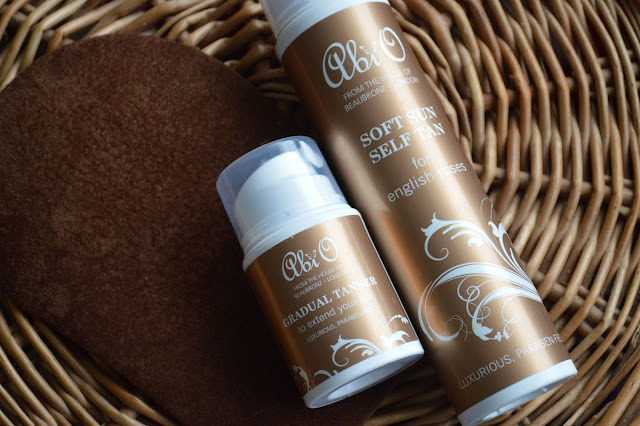 Meet Abi O Soft Sun Self Tan* (£26.00) for Pale Roses. The range contains Coconut Oil and BIO active aloe, skin is hydrated and soothed. The scent is nice and appealing, the formualtion is a gel-cream which glides onto the skin easily and blends so well. I did use a body scrub before hand and made sure to apply moisturiser to the dry areas. I swear by using a self tanning mitt but I braved it and this time I used my hands for thorough even finish. I did use a mitt on the backs of my hands and the ankle area which let's face it is a pain in the back side. The following morning I couldn't believe how well the tan developed, I had the perfect golden tan. It was slightly a little deeper than expected but nonetheless after a day it settled down and it was perfect. I applied it to the face so this meant I didn't need foundation, that's one of the benefits of self-tan for the face in my opinion, foundation free days! I am so impressed with the longevity of the tan, this has lasted a good solid 7 days, by which time the tan is just noticeable. This is when I decide it's time for a top up, the Abi O Gradual Tanner is perfect for this. It adds a very soft subtle glow to the skin, perfect for pale skins. HQ Hair currently has a fab deal, Buy One Get One Free. 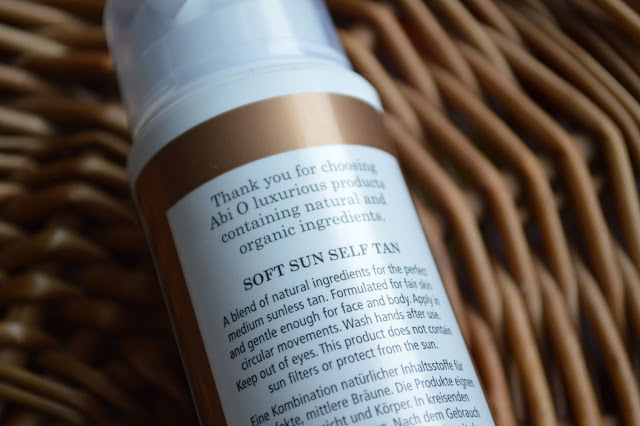 So if you're on the hunt for a new self-tanner for the summer I recommend you give Abi O a try!